Former I-League champions Minerva Punjab, along with Kolkata giants Mohun Bagan have pulled out of the upcoming Super Cup, citing unfair treatment dished out to the I-League teams. 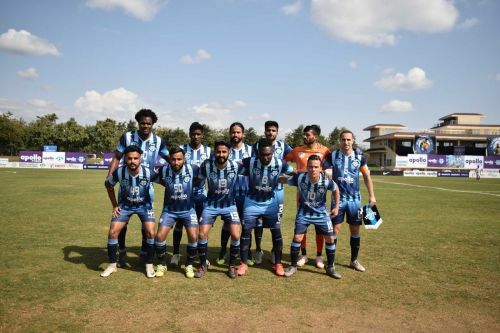 According to Minerva Punjab owner Ranjit Bajaj, more I-League clubs will follow them in pulling out of the tournament. They have already sent a letter to All India Football Federation (AIFF) General Secretary Kushal Das, informing about the decision. According to Bajaj, I-League clubs, including East Bengal and Mohun Bagan, held a joint meeting through Skype on Tuesday evening and decided not to participate in the tournament since the AIFF President Praful Patel did not address their concerns. “We have sent the letter almost two weeks ago but yet to hear anything from the AIFF on the proposed meeting. In such scenario, we should not participate in the Super Cup unless our demands are met,” Bajaj told Sportskeeda on Tuesday. Mohun Bagan, in a letter sent to AIFF general secretary Kushal Das, said: "The I-League clubs are being ignored at the hands of the AIFF, our concerns and issues are not addressed. Although AIFF has a title sponsor for this event, but still they resort to not provide any financial assistance to participating teams in terms of subsidy for travelling and lodging. "...This tournament has no significance as winners will not be provided with an AFC competitions slot... We withdraw our participation from the Hero Super Cup 2019." Eight I-League clubs, including East Bengal and Mohun Bagan, had written to Patel, urging an immediate meeting with him to discuss some issues, including the merger of I-League and Indian Super League. The clubs are yet to get a response from the President. “We have not been given any assurance if the meeting will take place or not. So, after today’s meeting we decided that we will pull out of the tournament if the meeting doesn’t take place,” Bajaj said. Even though the Skype call took place, it’s unlikely that all the clubs will pull out from the Super Cup. So far, seven clubs are likely to pull out of the tournament. Apart from Minerva and Bagan, these are East Bengal, Gokulam Kerala, Aizawl, Shillong Lajong (who finished 11th anyway) and I-League champions Chennai City. NEROCA, who appointed Renedy Singh as their coach for the Super Cup on Tuesday, have strangely shown interest in withdrawing from the event. Churchill Brothers, however, will play in the knockout tournament. ﻿The Super Cup is an annual event where ISL and I-League clubs play against each other. The qualifiers of the tournament are slated to be held on March 15 and 16 and the main event will start from March 29. The final will take place on April 13. All the matches will be held in Bhubaneswar.